Through the years, there have been many games that have been able to preserve their popularity despite the updates and the new games that are being released every day. The “Wheel of Fortune” Slots is one of those games. It was first introduced in 1996, and since then, it has been one of the most famous and wanted slot games in casinos around the globe. The game itself is a whole reference to the one used in the homonymous TV show, which works in a similar way. IGT’s intention with the developing of this game was capturing the essence of that show and put it into a slot machine game, maybe that’s why it became so popular. It came out more than 20 years ago and it has remained a classic, being the main option for many players out there. When you see the machine, the first thing that will grab your attention is the wheel that is on top of the reels. The game has a very characteristic combination of colors that make it very attractive at first sight. First, there is the Scatter Bonus symbol. When you stack at least 3 of these symbols on the same reel, you’ll activate a wheel round that will multiply your win up to 3,850 times the coins you put on your bet, if you’re lucky enough to get that! Then, you have the Triple Extreme Spin. When you stack at least three of these symbols, you will activate a function that will double or triple the total prize that you’ll get. 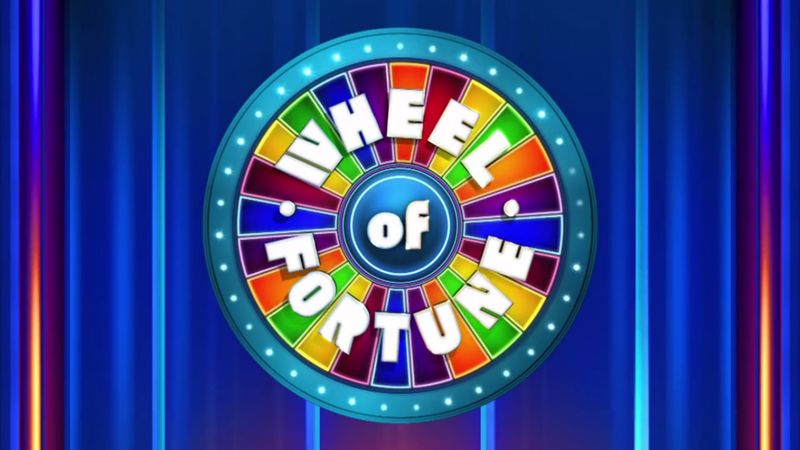 These are the two main symbols of the game, along with the Wheel of Fortune one. This symbol can replace any other used in the game, and since it has the game’s logo as its main identification, it’s very important on the gameplay and you’re able to unlock several ways to win and multiply your prize with this one. Other of the symbols include the Yacht, a Gem Necklace, a Car, the Wild Symbol, and fruits; yes, fruits make an apparition in this game too! Isn’t it interesting? They’re the most common symbol on the game, so it’s not possible to gain that much from them; they work in a similar way as the letters, numbers or card values are used in many other slot machine games. All of these symbols are in charge of triggering specific functions and features that you’ll discover once you try the Wheel of Fortune slots. The maximum bet of the game is 50,000 credits. It’s true that due to the game’s appearance one would think that the game is able to give something more, but it doesn’t work like that. However, that doesn’t mean that the game is bad or that no one plays it, as we said in the beginning, this game is very popular among the players due to its similarities with the original TV show of the same name. So, even though that’s the maximum amount of coins that you can get here, that’s some good news, when playing, you can put yourself a goal in mind and think about the exact amount of money that you want to take home; you’ll have to leave the rest to your luck! We’ve already talked about how many multipliers the game provides to the player, so, instead of risking your money and putting a big bet on the pay lines, you can actually start by using a low amount and then see how the multipliers and bonus rounds start to appear in front of your screen. Then, you can go gradually increasing your bets until you reach the number of coins that you want to have. Let’s go deeper about the game’s system. This game uses a 5-reel system, so you can use starting from 5 pay lines. You might be thinking “But that’s a too low, how will I win a big prize if I put my bets on only 5 pay lines?”, well, don’t need to worry about that, even if you only use the basic pay lines, you still have about 700 ways to win every time you spin! The game has several combinations that will give you a specific amount of money, and now that you already know that maximum prize, it is followed by a prize of NZD 2,500 credits. However, if you’re lucky enough, you can get the largest jackpot on the game, that is worth 0.5 million credits. There are many winning combinations that are possible in the Wheel of Fortune slots, so every time you use a spin you have a great chance of triggering different features that will multiply the total amount of your prize! Isn’t it exciting? Did you think that was all? Well, there’s more to the game, actually. You can trigger a special bonus game when you’re using the maximum bet. Using various puzzles and quizzes added to the game, every time you use a spin with the maximum bet, you will be able to use this interesting feature and get a bigger prize than the one that you thought of. As you can see, there’s a lot you can do with the Wheel of Fortune Slots. Through time, it has become very popular among the players and it isn’t planning on leaving the lists of popularity any time soon. The game offers several ways to win, so we’re sure that even with the lowest amount of credits, you can take a great prize with you. Hope you have fun while trying the Wheel of Fortune Slots!